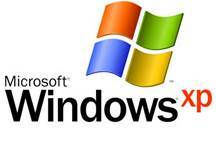 Is your PC still going to be running on Windows XP after April 8, 2014, when Microsoft is set to pull the plug on its support for the old operating system? There’s no problem if your computer is cut off from the internet. But if you use it for emailing and browsing, you might want to beef up your security, because the lack of updates and patches from Microsoft will surely make your system vulnerable to all sorts of malware and viruses. Although the best move is to upgrade your OS, you can do the following to safeguard your computer in the meantime. Since your Internet Explorer browser runs on the soon-to-be-outdated Windows XP, it is going to become extremely susceptible to malicious software. Download the latest versions of Mozilla Firefox or Google Chrome, and use them for browsing. Scripts are vehicles for malware delivery. Block them by installing protective add-ins in your browser. Enable scripts only for websites you trust. If you use Firefox, you should have NoScript Security Suite installed. Chrome users, on the other hand, should use the script-blocking software called NotScripts. Without an automatically patched operating system, relying on your free basic antivirus software is going to cost you more in the long run. If your data ends up getting corrupted or stolen, you will lose more money than the price tag of a decent anti-malware program. There are numerous high-quality online security applications to choose from. An example of a good buy would be Kaspersky Internet Security, which PC World hailed in early 2014 as an excellent security suite. Then top it off with a firewall system. After installing a full-on internet security suite, complement it with the free program from Malwarebytes, which you can use to scan for any malicious program that your security suite may have failed to detect. Next Post Should You Pay for an AppleCare Plus for Your New iPhone?